So, Rainbow has been practicing for this play that she’s taking part in at school. We are not talking about the type of thing where they perform on stage in front of the whole school, or even where the parents are invited to come watch. Her class is just performing for one of the kindergarten classes. 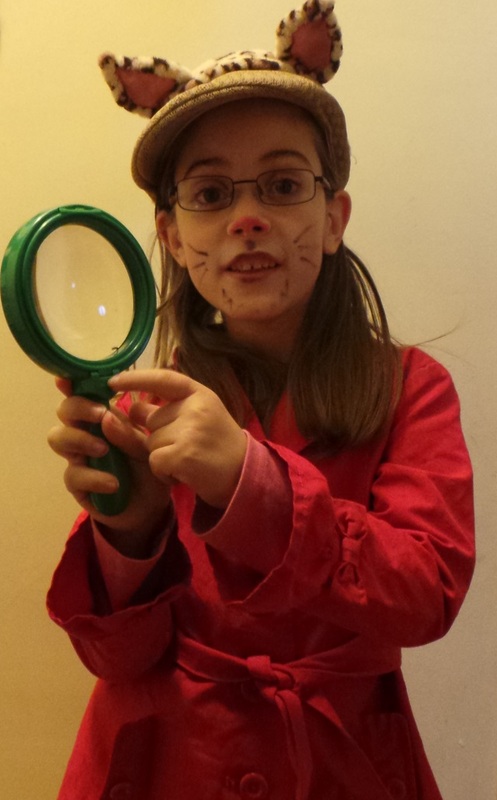 However, my girl has been taking this VERY seriously, practising her lines every night, and fussing over her costume (I tried to convince her that the kitty ears should be poking out of the hat, but she insisted on wearing them over top.). 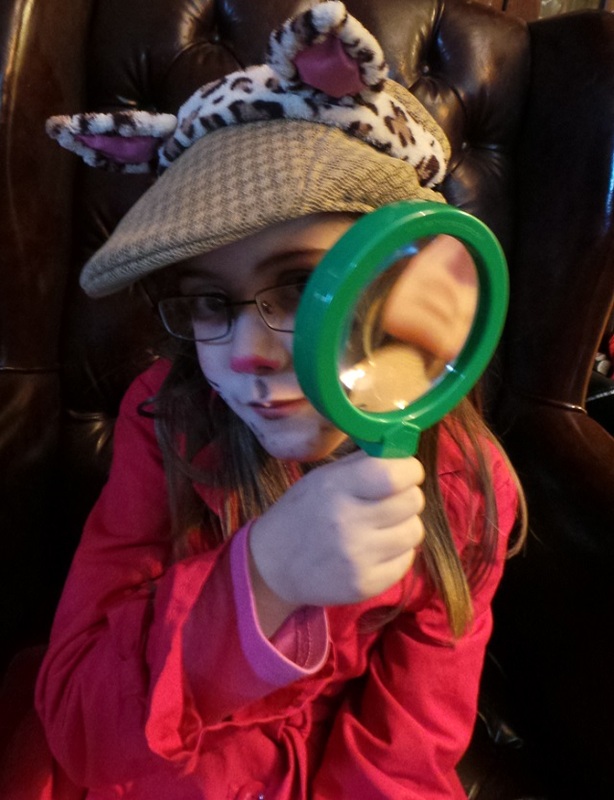 Rainbow’s playing the part of Chat Angora, the detective cat (it’s a French play). Today was the big day. She had her performance, which she says went very well. She came home with cute kitty face paint, which her teacher had put on for her. She hurried home from the bus to get back into her costume and show me how she looked “on stage”. Your daughter is adorable! I can’t wait for my grandson to be old enough to be involved in the arts!